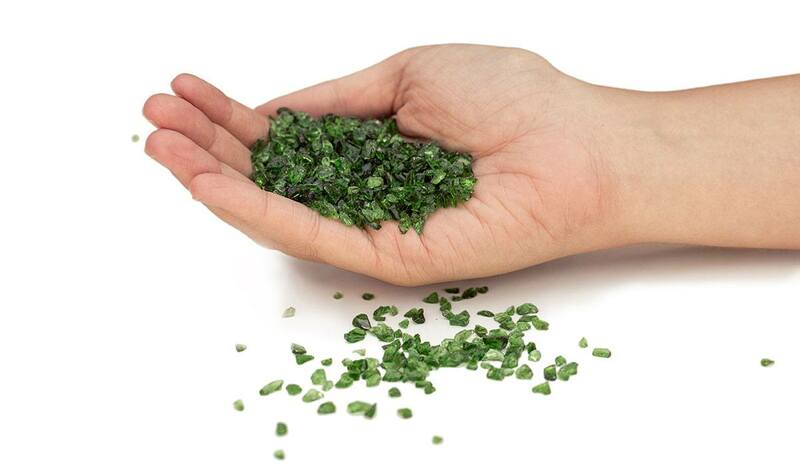 AFM® Activated Filter Media is a direct replacement for sand, doubling the performance of sand filters without the need of additional investments in infrastructure. AFM® resists biofouling, biocoagulation and transient wormhole channeling of unfiltered water and never needs to be recharged or replaced. AFM® comes with important certifications such as NSF 50 (swimming pools) and 61 (drinking water), HACCP, UK DWI and others. 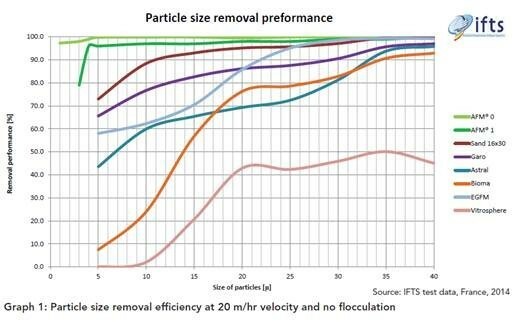 AFM® has been indepently tested by IFTS Institut de la Filtration et des Techniques Séparatives in France in 2014 and its superior performance over quartz sand and othe glass filter media was confirmed and and is documented in the the 2014 IFTS Report available below. AFM® more than doubles the performance of a quartz sand filter and it performes multiple times better than all other glass filter media tested. What makes AFM® so effective? The raw material is ground into the optimal grain size and shape that is crucial for the outstanding hydraulic characteristics of AFM®. No dangerous glass splinters are allowed to be present in the filter material. Our manufacturing process is ISO certified. The AFM® activation process creates a mesoporous structure with a huge catalytic surface area. Sand has a surface area of 3,000 m2 per m3 but AFM® has a surface area up to 300 times greater for adsorption and catalytic reactions. Hydroxyl groups on the surface give AFM® a strong negative charge, known as the zeta potential, that attracts heavy metals and organic molecules. In the presence of small amounts of oxygen or oxidising agents, the catalytic surface generates free radicals that make AFM® self-sterilising.